Machine rental? I need to rent a machine [+$5.00] I have my own machine. 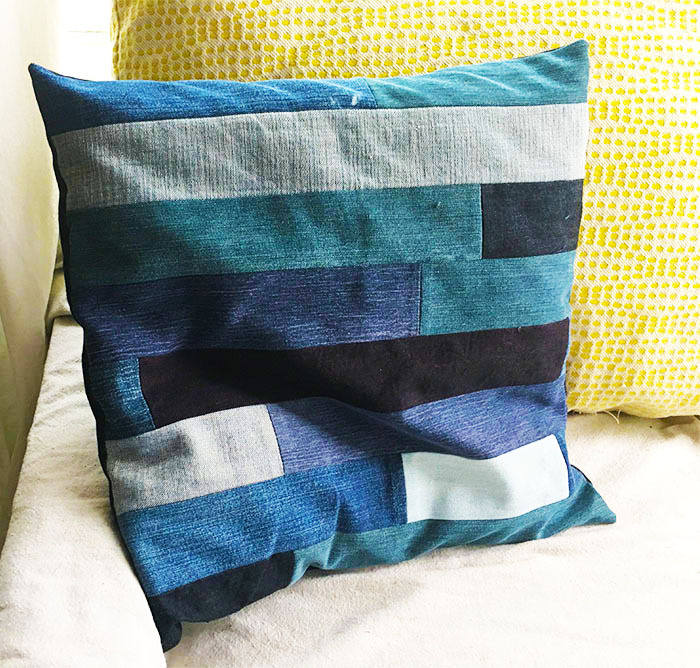 In this class we’ll take old jeans or tshirts, cut them into strips and sew them together to create a unique pillow cover. You’ll learn how to use a rotary cutter and mat to cut the strips, and a basic strip quilting technique that you can use to create more accessories and quilts. You should know how to thread and operate your machine at a basic level (straight stitching only) to take this class. Note: this class will be held at Bridge Storage & Art Space in Richmond. Supplies: Supply list will be emailed out upon registration. Please read my rescheduling/refund policies before registering for class.